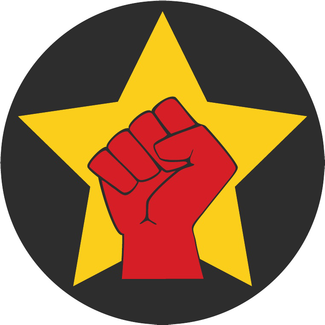 This article by the Revolutionary Socialists of Egypt is directed to their supporters, explaining in detail the principled stance they have taken. No to the Military Junta and No to Morsi and the Muslim Brotherhood. Full text at link. Terrible massacres and violent repression, a huge escalation in attacks on Egyptian Christians and churches, the consolidation of the repressive military state continues apace. These are the momentous political developments we have experienced during the last few weeks. They pose enormous challenges to the revolution, but they also contain opportunities toprepare for the coming waves of the revolution, which the Revolutionary Socialists can use effectively to build the movement, provided that we develop tactics capable of dealing with changing circumstances. After millions took to the streets to topple Mohamed Morsiand Al-Sisi made his declaration removing him from the presidency, there has been widespread debate about how to characterise these events. Was this a revolution of the masses, or a military coup aimed at removing the president in order to establish a military dictatorship? The answer to the question “revolution or coup?” lies in its importance to the development of a strategy for the months, and perhaps the years to come of the Egyptian revolution. Since the ouster of former Egyptian president Mohamed Morsi by the military on July 3, clashes between pro-Morsi supporters and the Supreme Council of Armed Forces (SCAF) have left the country’s streets stained with blood. On July 24, General Abdel-Fattah el-Sissi called for a security mandate that would fight the “violence and terrorism,” and for a 7 PM to 6 AM curfew to be enforced. The situation took a turn for the worse this week when the military opened fire on Morsi supporters and Muslim Brotherhood members near Nasr City. The death toll from the massacre climbed to over 600. The country has completely shut down: businesses remain closed, railways are suspended, and people are terrified to leave their homes. The original revolutionaries who marched for democracy are squeezed out of the equation as the military and Morsi supporters keep fighting and bodies continue to spill out of morgues and into mosques. 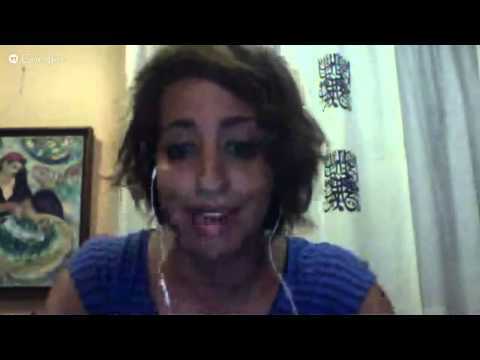 We video chatted with Gigi Ibrahim, a prominent activist in the Egyptian revolution, to try to make sense of everything that's been happening in the country. The link Turing gave to the SWP article doesn't work. From Turing’s intro though, it’s clear that the SWP is still trying to present the Egyptian coup as a "new wave of the Egyptian revolution" . This link to yesterday’s WSWS does work. It examines the political somersaults performed by the SWP’s sister organization in Egypt in line with shifting American foreign policy imperatives. Tarpley gives a really good account and analysis of what happened recently in Egypt. And in summary it was this. It was a counter-coup by the army to protect their own interests against the Muslim Brotherhood. Morsi got in on a ticket of promises to the poor but renegade on that and he did a deal with the IMF which ordered removal of subsidies to the poor. At the same time the Muslim Brotherhood were going off in extreme directions and Morsi himself was becoming rapidly despotic and were wanting to launch a jihad against Syria and sent in fighters there. The army baulked at this and saw it would wind up as a dictatorship by Morsi and the top layer of the army would be liquidated since they would be the main thread. So in effect they moved first. Tarpley claims the MB were pretty much controlled by the CIA and certainly their pandering to the IMF would suggest that they were ultimately acting on behalf of big capital. wsws is a cover for Muslim Brothers!!! Marsden calls it a brutal crackdown by the army on the Muslim Brothers in Egypt and I say the more brutal the better. That is the real Trotskyist position in this situation. Just as we would have defended Nasser when he had Sayeed Qutb hung because Nasser learned that there was no arguing with this Clerical Fascist Group. Warning to all youth and workers in Ireland the wsws are NOT Trotskysit. And pro Islam trolls remember guideline 2 which states "Keep your comments on topic"
Unhelpfully, he SWP changed the url.